The Scout picks his fourth of five players tipped for points in Gameweek 4. The winger can be the player to revive the Hammers fortunes in their first home match of the season. Antonio will face Huddersfield Town at London Stadium on Monday night hoping to end a run of three successive defeats. He has already caught the eye in Slaven Bilic's attack, despite being limited to only two appearances and 157 minutes. Direct running and his threat from range has already produced five shots on goal, with three hitting the target. Only striker Chicharito (£7.1m) betters those tallies (seven shots and four on target). Antonio's pedigree as an FPL option is proven. He has recorded 17 goals and 15 assists over his two Premier League campaigns. The Terriers will provide testing opponents in Monday night's encounter. David Wagner's defence are yet to concede but will need to focus on taming Antonio. His aerial threat will be a major concern. Antonio scored six headed goals last season - more than any other midfielder and only one fewer than strikers Christian Benteke (£7.9m) and Fernando Llorente (£7.4m). He has already been involved in 16 aerial duels this season - more than any other West Ham United player. Bilic will likely look to hit Antonio with diagonal balls and perhaps attempt to isolate Chris Lowe (£4.5m), Huddersfield Town's left-back. Standing at 5 foot 7 inches, Lowe has lost both his aerial duels so far this season. He also won only 50% of his 94 headers in the Championship in 2016/17 - the lowest success rate among the defenders likely to figure in Wagner's back four on Monday. Exploit that weakness and Antonio could get off the mark in the new campaign. That would reward just over 11,000 managers, a figure that would likely grow over the Hammers' forthcoming fixtures. 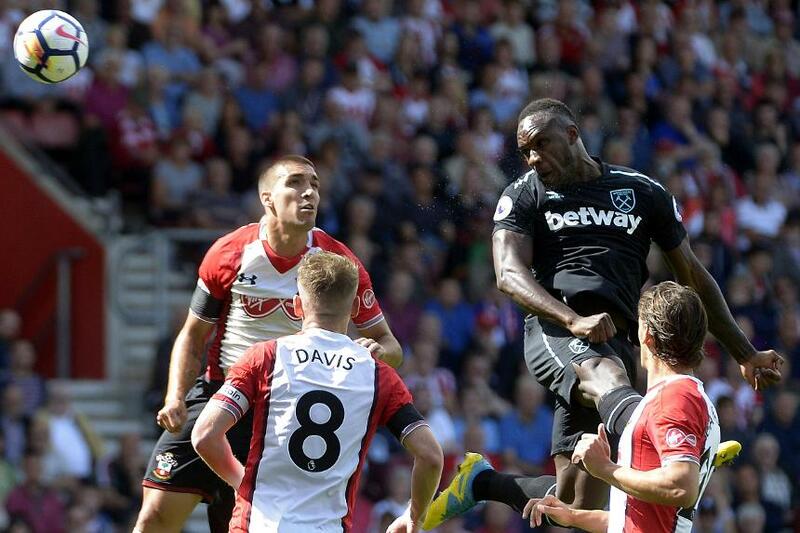 Including Monday's encounter, five of Antonio's next seven opponents score two or less in the Fixture Difficulty Rankings (FDR).